April 03, 2019: The CBSE Class 10 Result will be declared, if chatter is to be believed, in May 2019. In 2018, the results were declared on 29th May, this year the results are expected to come out in the third or fourth week of May. Examresults.net will update the date and time of when the CBSE 10th Result 2019 will be out as soon as we receive notifications from our sources and official authorities. If you are a student who has appeared for Class 10th CBSE Exams, you can check your CBSE Result 2019 Class 10 on the official CBSE website or here on this page. You can also check your CBSE Class 10 Result on our newly launched Android app. The Central Board of Secondary Education will conduct the CBSE Class 10th Exams for the academic year 2018-19 from 21 February to 29 March 2019. The detailed time table can be referred to here. The board is expected to declare the CBSE Class 10 Result 2019 on the official website cbseresults.nic.in and on the examresults.netwebsite. The CBSE Class 10 Results will also be available via our Android app which is available on the Google play store. 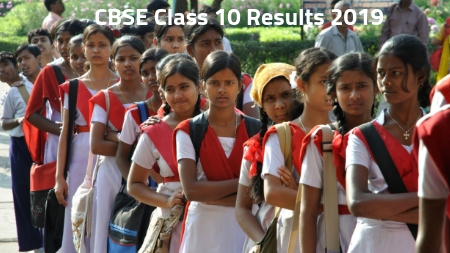 The CBSE 10th Result are declared region-wise. If you are awaiting the announcement of the CBSE 10th Result 2019 Date, then be assured that the date of the results announcement for CBSE 10th Result will be the same for all regions (tentatively May 2019), and only the time will change. Once students finish their class 10th, they often take a decision to pursue further studies in specific streams on the basis of their CBSE 10th Result. 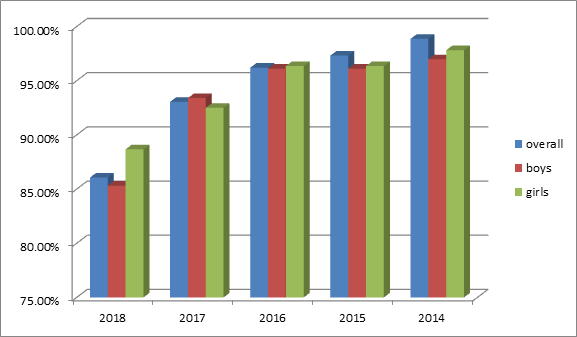 It is an oft-seen trend that students with higher percentage opt for Science branches and other students often opt for Arts and Commerce. If you are wondering about your options after 10th standard, we have all the career advice you can need. The CBSE Class 10th Board Exams are conducted by CBSE every year across several examination centres. In the year 2017, the CBSE 10th Exam was conducted across 3,974 centres in the country. This year, too, the rough approximation states that exams will be conducted across a similar number of centres. The CBSE Class 10th Boards are to be conducted from 21 February to 29 March 2019 and the CBSE Class 10th Result 2019 Declaration Date is expected to be around the end of May 2019. Students appearing for the CBSE 10th standard board exams can check their CBSE Class X Result here by following the steps listed below. Get your results in your pocket with our Android app. IVR: An IVR system will allow you to access your results via a call which is charged at 30p per minute for every roll number. SMS: Charged at 50p per SMS, students can receive their results on their phones with this service. DigiLocker: A service that saves your CBSE Board Results 2019 and mark sheets in your locker, a student's account details are sent to the student via SMS. Official School Websites: If you are still not sure of your results till you receive it from your school, then you can also access your school's websites which may post your CBSE class X Board Results. After checking your Class 10 Results, you can also choose to download a soft copy of the results or take a printout of the mark sheet from the exam results website. While this will only be a provisional mark sheet (an original mark sheet is only issued by CBSE and has to be collected from your school), it can be helpful during the application process to schools and colleges for your further studies. In 2010, CBSE brought into effect a new form of scoring for Class 10th. This was the Cumulative Grade Point Average or CGPA system which aimed at reducing comparisons and level the playing field, so to say, where CBSE Class 10th Exam Results are concerned, for students who have a small margin in their marks, bringing them into the same band. The idea was also to eliminate issues caused by errors in evaluation. For a student to pass Class 10th, he or she has to score a minimum of D grade in every subject. In 2015, more than 75,000 students scored a perfect 10; this number increased to 1.4 lakh students in 2016. While the grades for both, Classes 10th and 9th are displayed on the report card, only Class 10 grades are used to Calculate your CGPA. This year, CBSE Class 10 Exam Result 2019 is expected in the month of May. Last year, in 2018, the results were on 29th May. The overall pass percentage of the CBSE Class 10th Results in 2018 was 86.70%. More than 16 lakh students appeared for the class 10 examination. In 2018, the girl passing percentage was 88.67 and the boy passing percentage was 85.32. in 2018, Prakhar Mittal from DPS, Gurgaon, Rimzhim Agarwal from RK Public School, Bijnor, Nandini Garg from Scottish International School, Shamli and Sreelakshmi G from Bhavan Vidyalayasa, Cochin were the toppers securing 499 marks out of 500. Thiruvananthapuram had the highest pass percentage of 99.60% in 2018 and was followed by Chennai (97.37%) and Ajmer (91.86%). Delhi, the capital of the country had a pass percentage of 78.62% in 2018. As far as schools as concerned, Jawahar Navoday Vidyalay had the best passing percentage of 97.31% followed by KV (Kendriya Vidyayala) having 95.96%.Detailed below are some of the other statistics related to the CBSE Class 10th Board Exams conducted in 2017. These stats can help determine the pattern for 10th Class Result 2019 CBSE for 2019. The overall pass percentage of students who appeared in the CBSE Class 10th Exam 2018 was 86.07%. Approximately 16.38 lakh students appeared for the CBSE 10th Board Exams. By any measure the number of students who appear for the CBSE Class 10th Board Exams 2019 will be higher. The pass percentage and other statistics for CBSE Class 10th 2019 will be updated once the class 10 result 2019 CBSE are declared. Students appearing for the CBSE Class 10th Exams 2019 can check their CBSE Class X Results on the official CBSE website, cbseresults.nic.in or on examresults.net. You can also check your CBSE Results via our Android app which is available on the Google play store. The apex board of education in India, CBSE has a pan India jurisdiction and also a global presence with nearly 141 affiliated schools across 21 countries. The board grants affiliation to schools up to higher secondary level and develops common curriculum keeping nationwide requirements in focus. The schools affiliated to CBSE only follow the NCERT curriculum. GET COMPLETE INFORMATION ON CBSE - CLICK HERE. The CBSE was given its present name ‘Central Board of Secondary Education’ in the year 1952. The Board was reconstituted in the year 1962 when its jurisdiction was extended.